Once you’ve found the new Chrysler, Ram, Dodge, or Jeep of your dreams, the only thing standing in the way of making it yours is the question of how you’re going to pay for it. But that question doesn’t have to go unanswered if you’re shopping at Scott Robinson CDJR because our expert finance team is here to save the day! Visit our in-house Finance Department to find out about how easy it can be to get a great loan for your new Chrysler, Jeep, Ram, or Dodge purchase. We can also provide you with affordable financing if you’re buying a used or certified pre-owned vehicle. Fill out our application to get a 30-second approval for auto financing in the Torrance and South Bay area. If you’ve got a car to trade in, check out our Value Your Trade tool to see how much your old ride is worth! 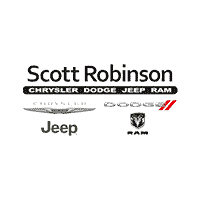 The Scott Robinson Chrysler Dodge Jeep Ram Finance Center is also happy to assist you with getting a great lease for any new Chrysler brand vehicle. Here at Scott Robinson CDJR, you’ll find a friendly, experienced team of finance specialists who are eager to help you. We’ll spell out any and all legalese and financial mumbo-jumbo to ensure that you get all the information you need to make the best decision for your vehicle financing. We guarantee your financing experience will be confidential and free of worries, even if your credit is poor. Our finance staff will work diligently to find a loan plan that works with your budget and personal finance situation.